Become part of our creative community. You will share ideas with like-minded students from a wide range of art and design disciplines in a vibrant studio environment. Taught by experienced tutors boasting excellent industry links and with world-renowned companies like Paul Smith, John Smedley and Aristoc on the doorstep, you will never be short of inspiration. 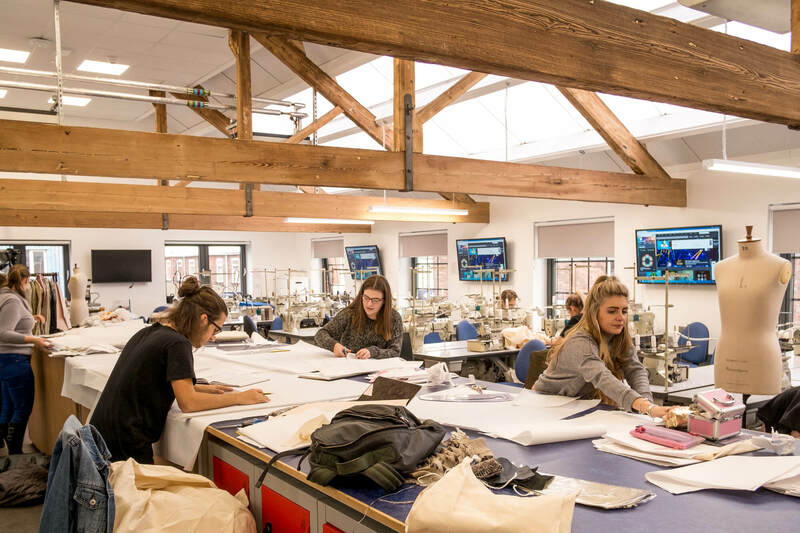 Our £3 million dedicated fashion and textiles facility is the ideal place to shape your ambitions. You will use both traditional equipment and advanced technology in your work and we are the only UK university to own two Jacquard looms. Our Fashion and Textiles courses are taught at our specialist studios based at Chandos Pole Street. Students can also use the Digital Design Hub at Markeaton Street to create embroidery and to print or heat press images on to fabric.